A smartly written, beautifully illustrated picture book about a young girl whose mother works for a boss named POTUS. POTUS? Just who or -- WHAT -- is a POTUS? Penny is on a mission to find out! She imagines all the fun things she and POTUS will do together when they meet -like have a tea party in the China Room and do important work in the Oval Office. When she goes to work with her mother one day - at a big White House - Penny sneaks off on her own through the historic corridors to find POTUS. Along the way, she chats up the White House butler and Rose Garden gardener. Will she find POTUS? And will he live up to her great expectations? And, maybe Penny will be surprised to discover that POTUS isn't a 'he' after all. 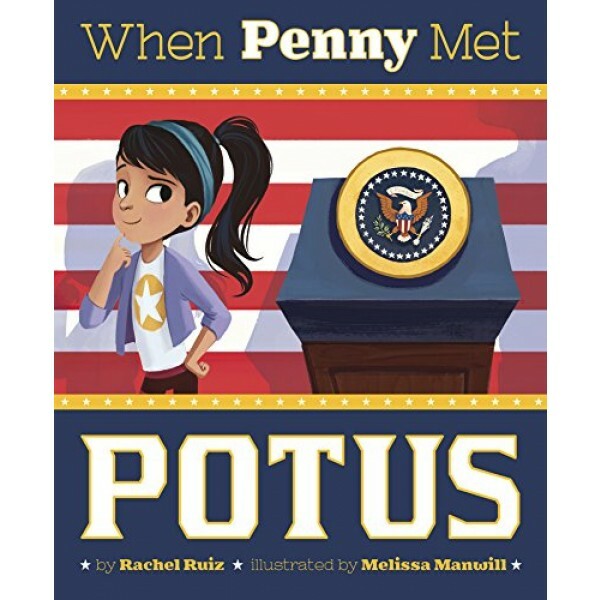 Rachel Ruiz delivers a perfect picture book to get your family talking about the president this election season. 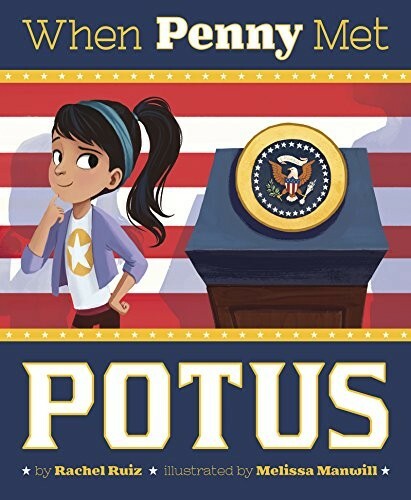 Heartwarming and empowering at the same time, this presidential book will teach our kids no dream is too big to dream!